Polybrominated Diphenyl Ether (PBDE) Flame Retardants. However the Directive does allow provision for exclusions such as equipment used for military and medical purposes as well as that of monitoring and control instrumentation. 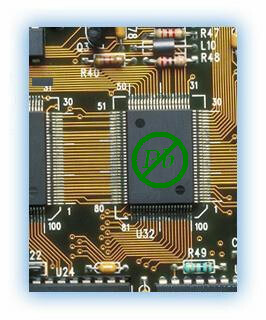 ABC Electronics Ltd is fully committed to the aims and requirements of the RoHS Directive. In line with this commitment, we will of course supply RoHS compliant components. We will also supply non-RoHS compliant parts for customers with products which are RoHS exempt.